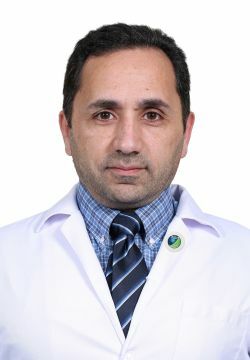 A multidisciplinary hospital and one of its foremost surgeons have been listed among the very best in the MENA region to achieve accreditation from the leading international bariatric surgery certification as a specialised centre for surgery of obesity and diabetes. While bariatric surgery is considered a very effective means of reducing weight, with 80% of excess weight loss experienced within 9-12 months, doctors add it is often recommended to alleviate medical conditions associated with obesity, including diabetes, hypertension and cardiovascular diseases (CVD). Statistics compiled by Health Authority Abu Dhabi (HAAD) show that in 2015 there were over 1 million cases of diabetes while CVD accounted for 34.9% of all death cases in the UAE. The bariatric team of surgeons includes Dr Uday Shankar, Dr Aws Khidir Jassim, Dr Murtaza Pithawala and Dr James Zachariah Pulimuttil. The hospital has a dedicated website for education and support of obese patients who are looking for professional guidance - http://obesity.zulekhahospitals.com/. Dubai International Jewellery Week 2016 Unique Pearls.